October | 2017 | POMS AWAY! I used to think the east coast city of Napier was boring. We had a holiday there when I was a child. As far as I was concerned, the only things to recommend it were a beach – hardly unique in New Zealand – and a dolphin show. (I know. Don’t worry: that particular attraction has long since ceased to exist.) 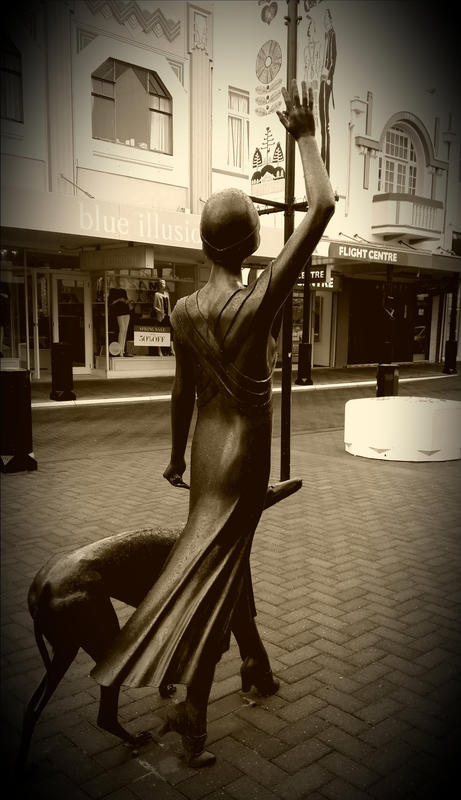 I was wholly unappreciative of Napier’s main draw, an abundance of beautiful Art Deco buildings. 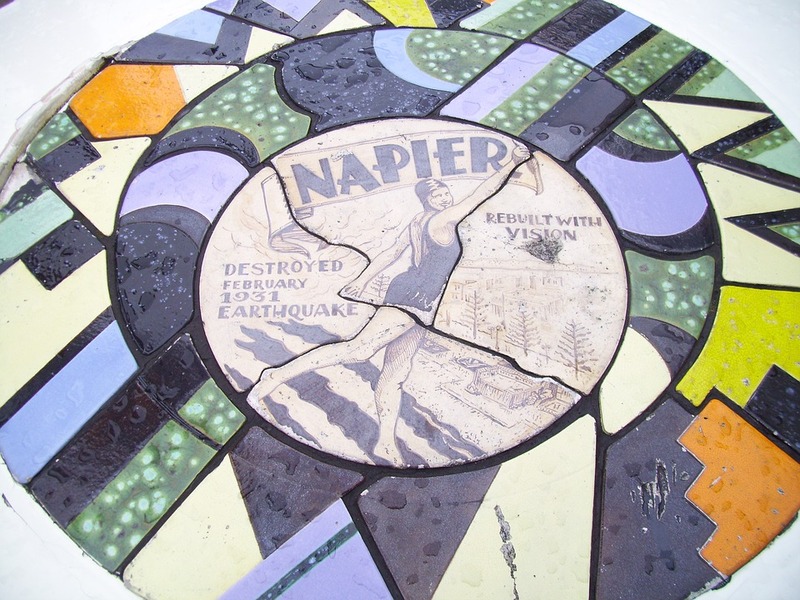 You see, Napier was devastated by an earthquake in 1931. It was, in fact, the most devastating earthquake in New Zealand’s history. Despite this, they did a much better job of rebuilding it than has so far been done of rebuilding Christchurch. Of course, it was rebuilt in the style of the time, so I suppose we can be thankful that the earthquake happened in the ’30s instead of, say, the ’60s. The result is an Art Deco paradise, a situation of which the city takes full advantage. 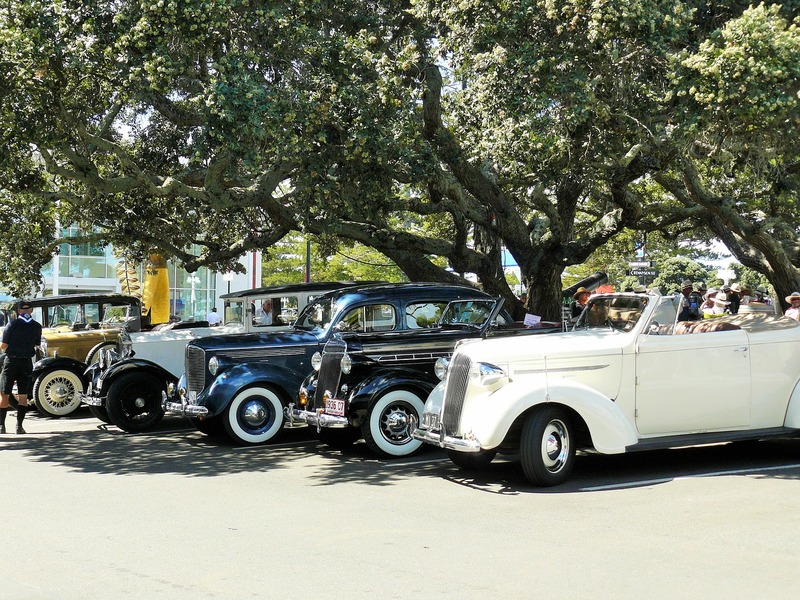 From vintage car tours to Art Deco festivals, Napier is the place to go if you like to party like it’s… well, actually, maybe not 1939. It also has a science museum, a Victorian prison and a chocolate museum, which is why my partner and I decided to spend a day there on our recent campervan trip. As it turned out, we didn’t end up visiting any of those places – I got too distracted shopping! I hadn’t been to Napier since that childhood holiday and, apparently, the intervening years were time enough for me to develop an interest in 1930s fashion. There were antiques shops, vintage clothes shops, costume shops, and, naturally, Art Deco souvenir shops galore – and all encased within gorgeous façades! There was even a sword shop. 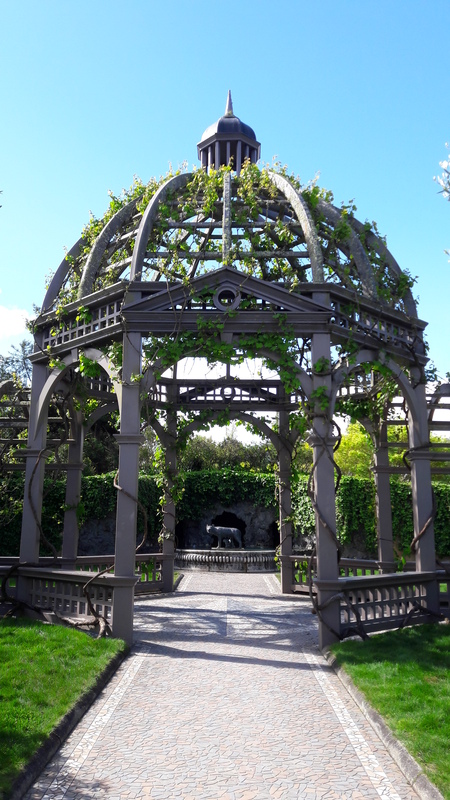 If only it hadn’t been raining, we could have strolled along Napier’s famous Marine Parade, an extensive seafront stretch of pleasant gardens and decadent architecture. Even before we’d left, we’d decided we had to return one day. The other main draw of Napier is its abundance of nearby wineries. We ended up having dinner at an extremely posh establishment called Elephant Hill, only because it was right next to a fantastic free camping spot. 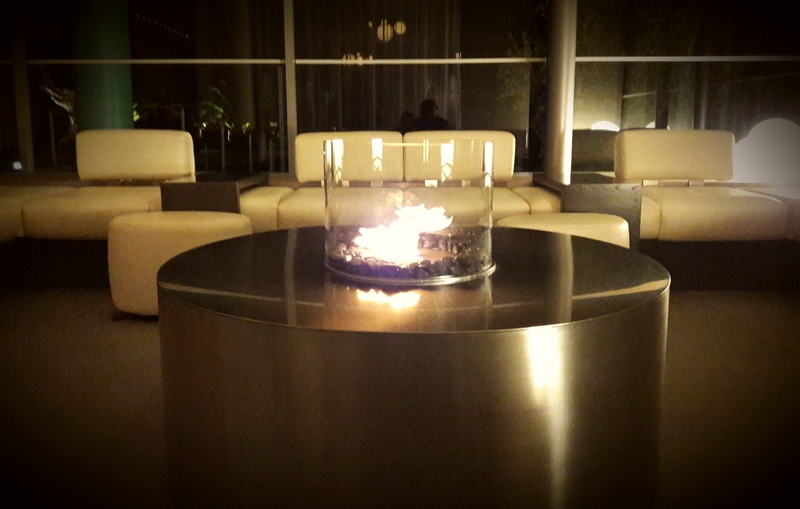 The restaurant’s atmosphere was surprisingly cosy for such a modern-looking place and the food was divine. 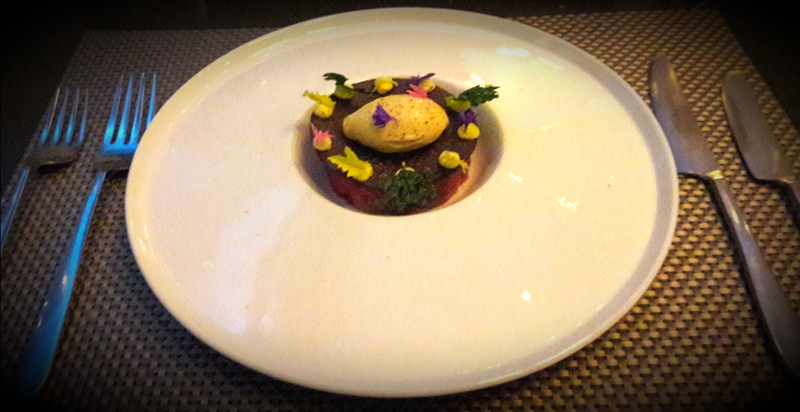 I had beef tartar with mustard ice-cream, which was as weird as you’d expect, but an utter taste sensation. As for the free camping spot, I highly recommend seeking it out. It was right on a stony beach, wonderfully peaceful, and had a nice toilet block. We parked our campervan so the back doors faced directly onto the Pacific Ocean, the theory being that we would open them in the morning for a glorious sunrise. But it was winter and, predictably, cloudy. The site is called Clifton Road Reserve and you can find it using this free camping map. I can’t believe I ever thought Napier was boring. Now I can’t wait to go back! 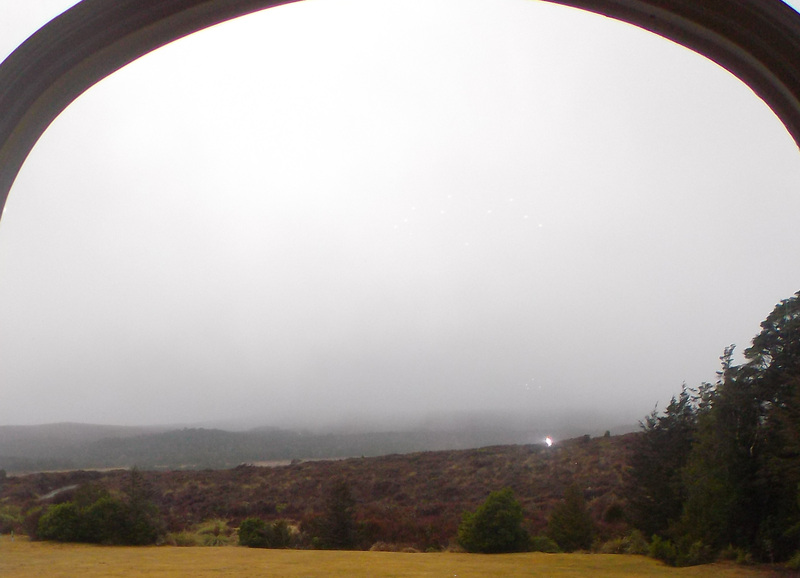 What rotten luck: we arrive at one of the most beautiful places in New Zealand and it’s shrouded in mist! The dramatic vista of snow-capped volcanoes is simply non-existent, the landscape smothered by a heavy, white silence. We should have expected it, I know, embarking upon a campervan trip in winter. On with the anoraks it is. 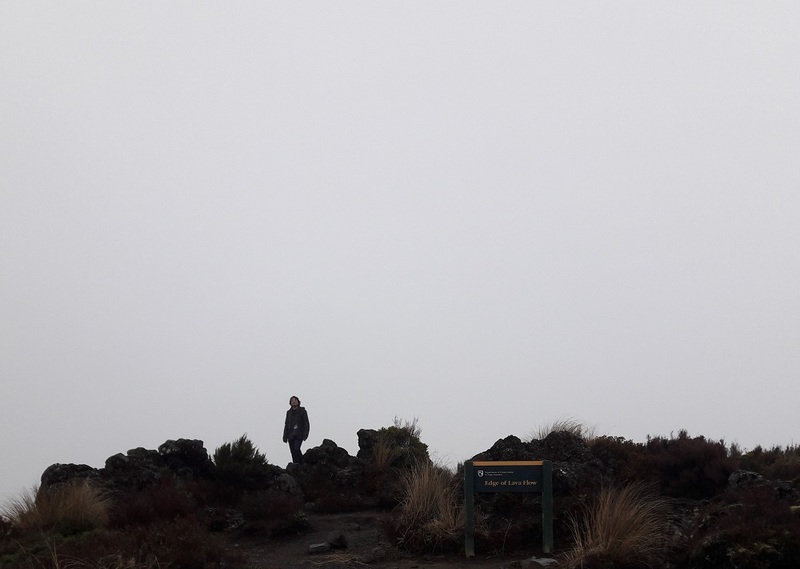 Now we’re here, we can still walk to Taranaki Falls – the backdrop just won’t be quite as impressive. Fortunately, the backdrop turns out to be impressive in its own way. The mist makes me think of Celtic fairy tales. It’s moody in a good way. As we stroll through it, the clouds let through a single beam of late afternoon sunlight, which gilds it briefly. But still no volcanoes. 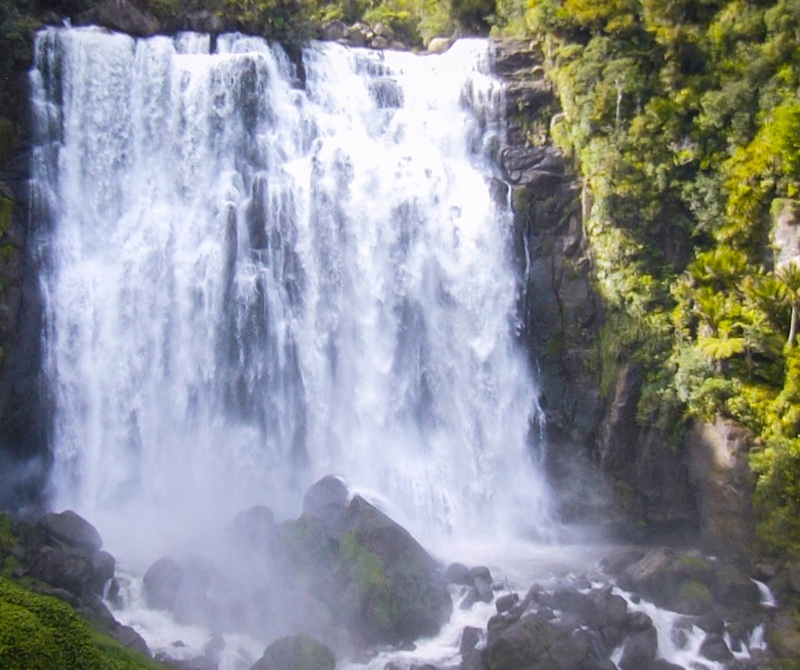 The Taranaki Falls Walk is a two-hour loop track starting and ending in Whakapapa Village. Follow the road that branches off from the main road, behind the Chateau Tongariro. 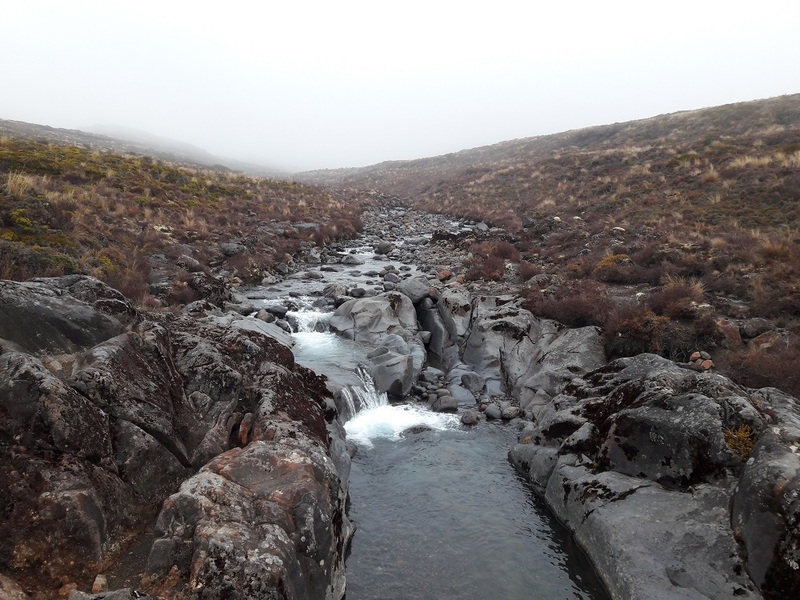 It’s one of the best – and easiest – walks in Tongariro National Park, perfect if you’d rather not commit a full day to the Tongariro Crossing. There are steep bits, but the views are worth it. Or, at least, they usually are. The first half (or second, depending on which way you walk the loop) follows a stream through a forest. After that there’s a bit of a climb up to the falls. Presumably, when it’s not raining, it would be a lovely place to stop for sandwiches. The path continues to climb to the top of the falls. The view’s as blank and white as the pages of a new notebook. At least my partner looks rather cool standing at the edge of the cliff, silhouetted against the mist. 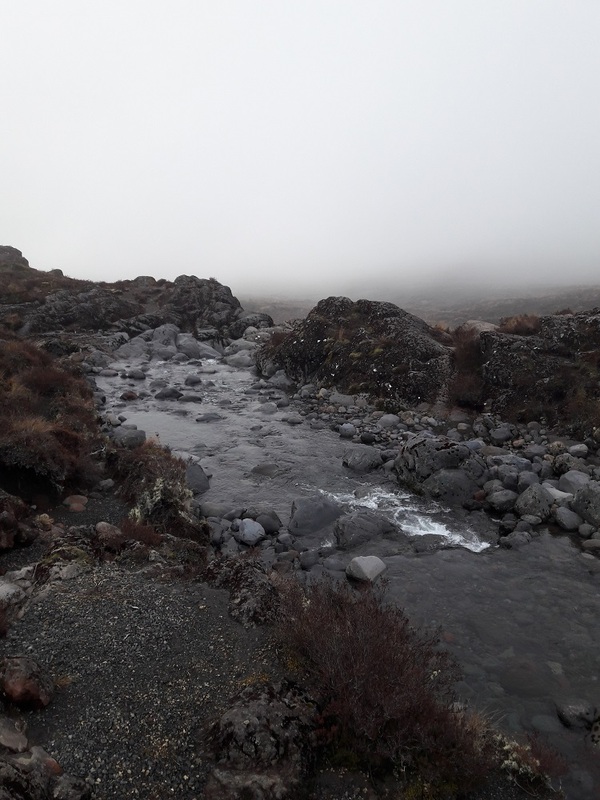 As we walk back towards Whakapapa Village, I feel like I’m in a nineties computer game in which the landscape hasn’t loaded properly. There’s nothing beyond the path, which could go on forever for all I know. It’s only an hour back to the village, but it feels much longer. We just have to keep walking and hope for the best. Halfway back, the rain starts to bucket down. I have an umbrella in my pack, but my partner doesn’t (and the fact that he’s nearly a foot and a half taller than me prevents us effectively sharing.) The rain’s so dense it renders his glasses useless. Imagine that, being unable to see anything beyond path and even that’s a blur! I’ve never been so relieved to see a DOC sign as it materialises out of the mist. We’ve made it! The world is real! The next morning, as we’re about to drive away from Tongariro National Park, the cloud lifts and the snow-capped volcanoes shine in all their glory. Bloody typical. 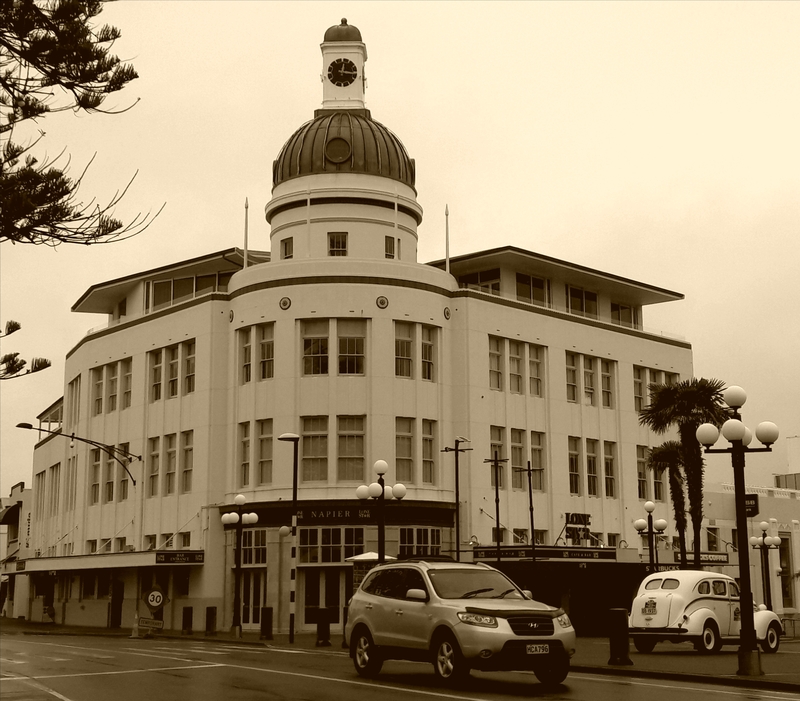 Join us next week as we move on to the Art Deco decadence of Napier! Tongariro National Park is home to the most stunning scenery in New Zealand’s North Island. It contains three major volcanoes, Tongariro, Ruapehu and Ngauruhoe, which, come winter, are adorned with snow. 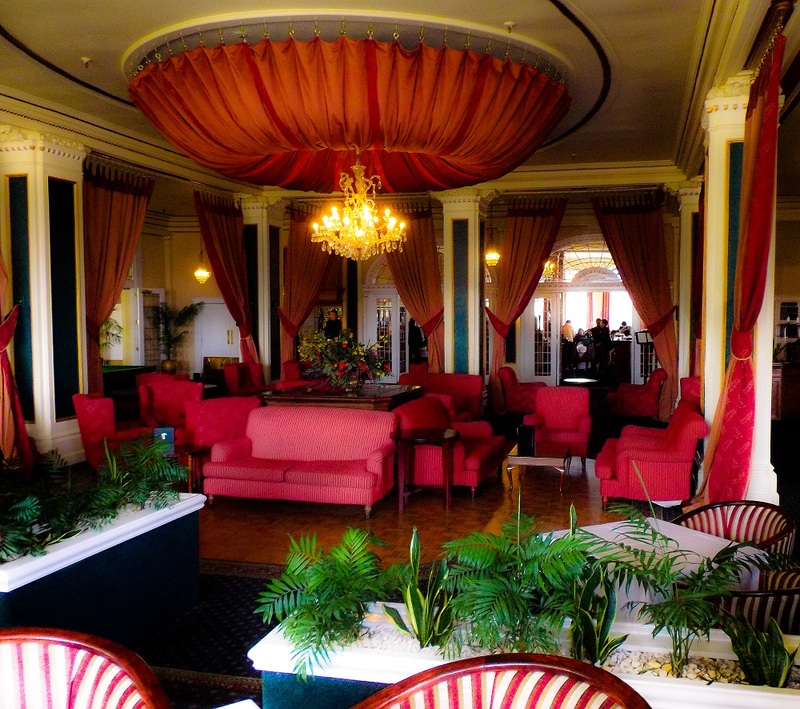 Nestled at the foot of Ruapehu is a gorgeous 1920s hotel, the Chateau Tongariro. From the outside, it looks almost like a cake with delicate layers of sponge, pastel blue, pink and yellow. On the inside, it’s all red velvet and golden chandeliers, far too opulent for the likes of us, peering sheepishly around in our damp anoraks and hiking boots. Like many tourists before us, we gaze longingly at the menu of the Ruapehu Room before deciding it’s too expensive. Besides, they won’t let us pass beyond the ornate panes of glass with their gilded letters dressed as we are. 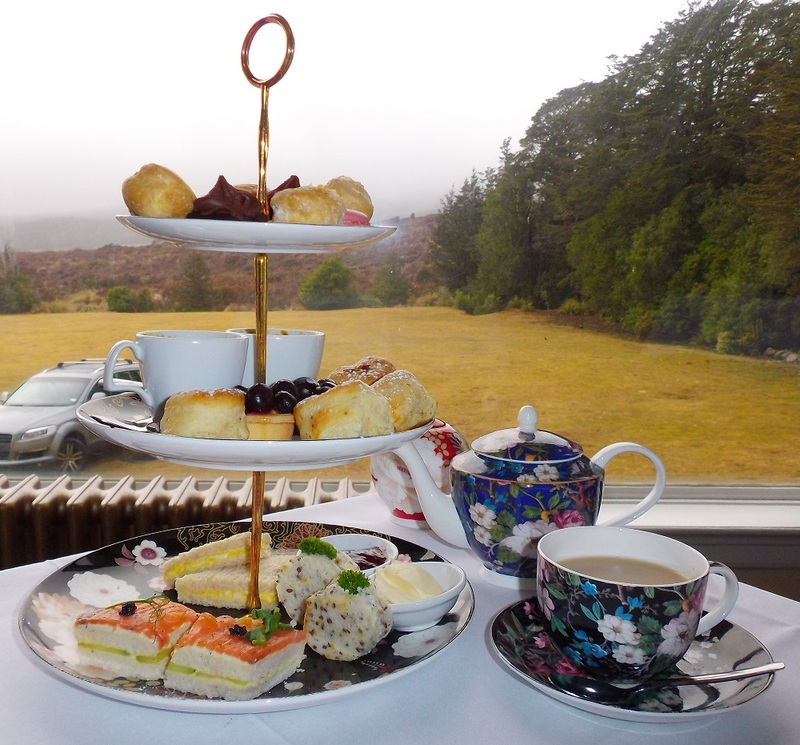 We opt instead for High Tea overlooking Ngauruhoe, a friendly alternative for the riffraff, it seems. We book a table for the next day when, hopefully, the weather will be better. So far, the national park has been entirely shrouded in white, which, while pretty in its own way, rather defeats the purpose of coming here. 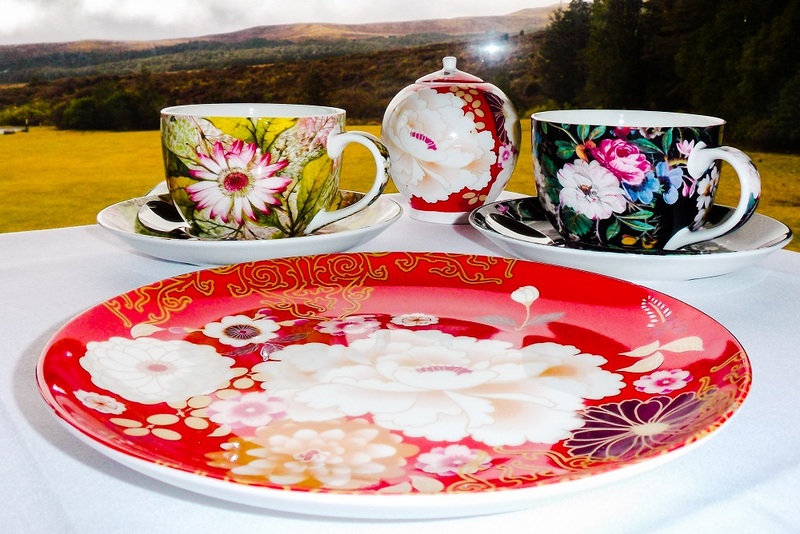 The food component of the High Tea is presented wonderfully. Each one of the miniature sandwiches is a taste sensation – fresh salmon, chicken and truffle pâté, etc. – and the morsels of sweets look too good to eat. There’s even a couple of tiny cups containing green tea crème brûlée. I’m in my element. Even the consistency of the miniature scones is perfect. When I’ve finished eating, I have a snoop around every corner of the lounge. There’s a billiards table and piano; a cosy fireplace and a bookcase. I want nothing more than to curl up with my Alan Bennett book and an endless supply of that posh tea, but I can’t. We’ve got a walk to do. Not the famous Tongariro Crossing, as it’s a tad dangerous to do in winter and, besides, it’d be a waste to do it without the views. Instead, we’re heading out to Taranaki Falls. 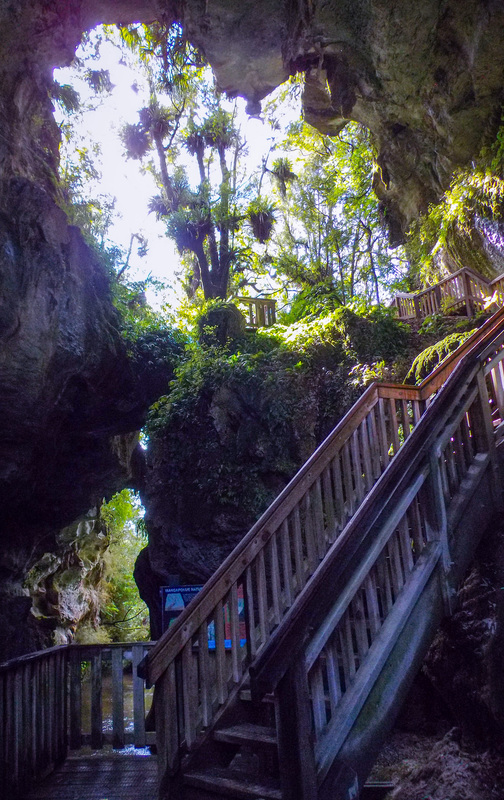 A natural bridge… Sounds cool, right? 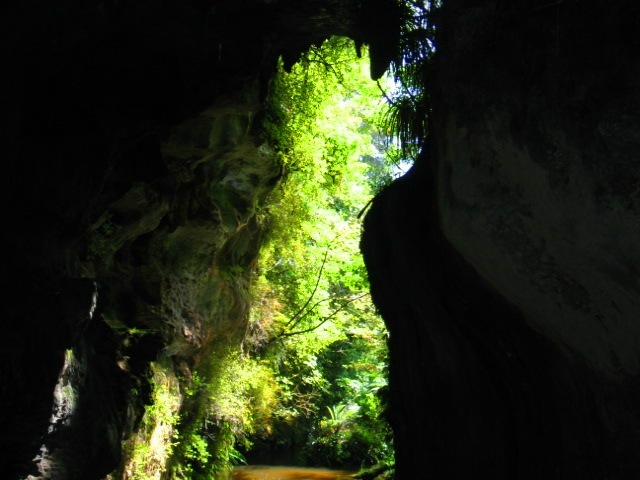 We thought so, which is why we went to see the Mangapohue Natural Bridge before leaving Waitomo. The weather was lovely. Considering the especially rainy winter we’d had, we counted ourselves lucky. You might well ask why we’d decided to take a trip at that time of year. 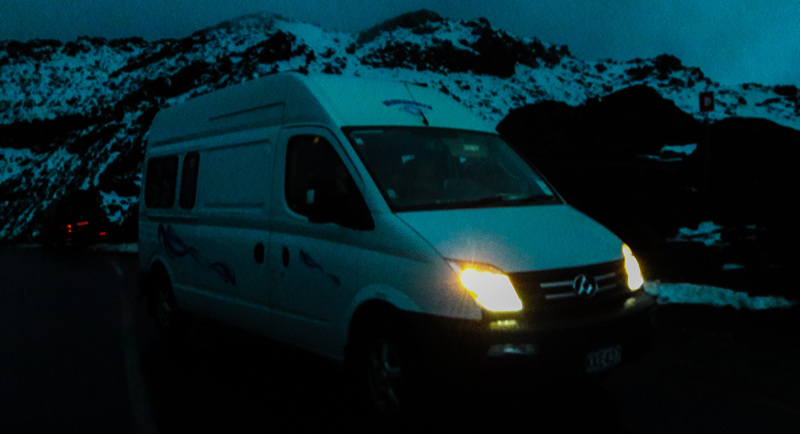 Simply, campervans are lot cheaper to hire in winter. It also makes for an easier trip, as you don’t have to worry about booking anything in advance, and a more peaceful trip, as you get beauty spots and sometimes entire campsites to yourself. Mangapohue Natural Bridge was one such beauty spot. We began the twenty-minute walk with little idea what to expect. The path was gentle, leading us over a manmade bridge into a modest gorge. It continued as a boardwalk overhanging a stream. I remember the light being particularly pleasant: sunbeams had draped themselves amongst the branches above us like gauzy scarves. Then, as soon as the natural bridge came into view, I knew it. I didn’t remember being there as such, but I recognised the view from one of my own photographs! (I’d even used the photograph before on this blog!) How I managed to forget the sight of it, I’ll never know, because it was magnificent. 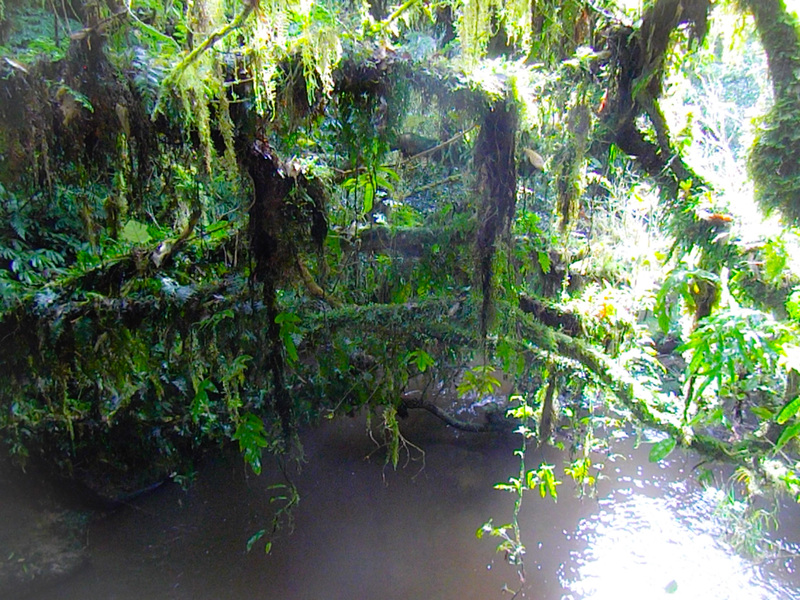 Straddling the stream was an enormous limestone archway, complete with scraggly stalactites. From a certain angle, part of it seemed shaped like an old-fashioned lock, which gave me serious Alice in Wonderland vibes. 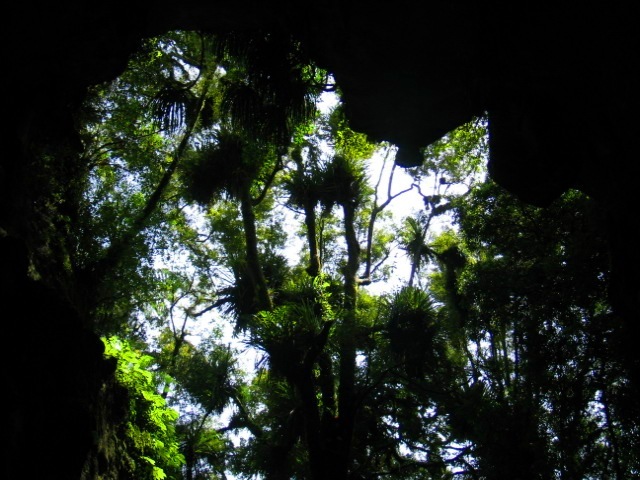 Sunlight peered into the archway, jostling with a group of cabbage trees for a view. We ascended a flight of steps curving up to a wooden platform, where we stayed for some time. It was a location straight from a fantasy novel, one of the more subdued scenes where the heroes stop to rest and the young would-be lovers sneak away for a moment, only to be interrupted by another party member as it’s too early in the narrative for them to kiss. If there had been any trolls under this bridge, they would have been friendly ones. The rest of the walk wasn’t quite as epic, but that hardly mattered after we’d seen. 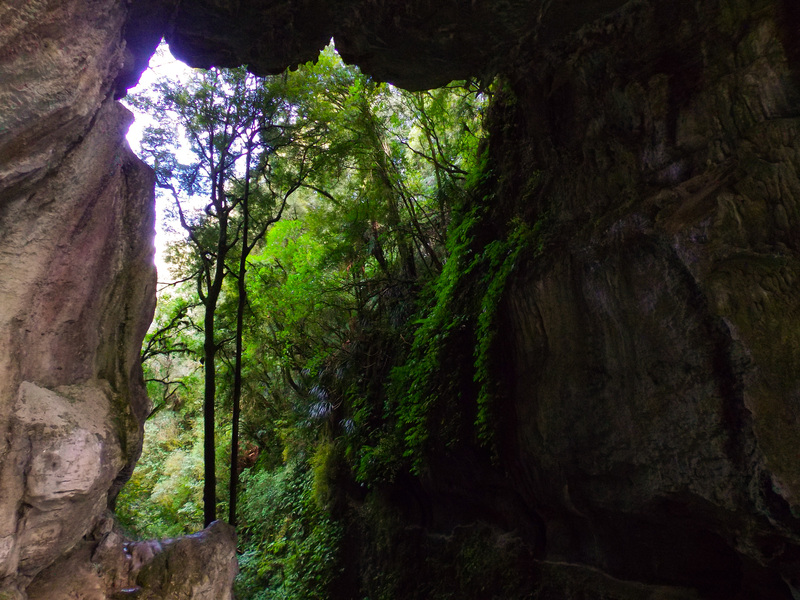 As something free to do in Waitomo, the Mangapohue Natural Bridge is something you should definitely experience, along with the magical Ruakuri Walk. 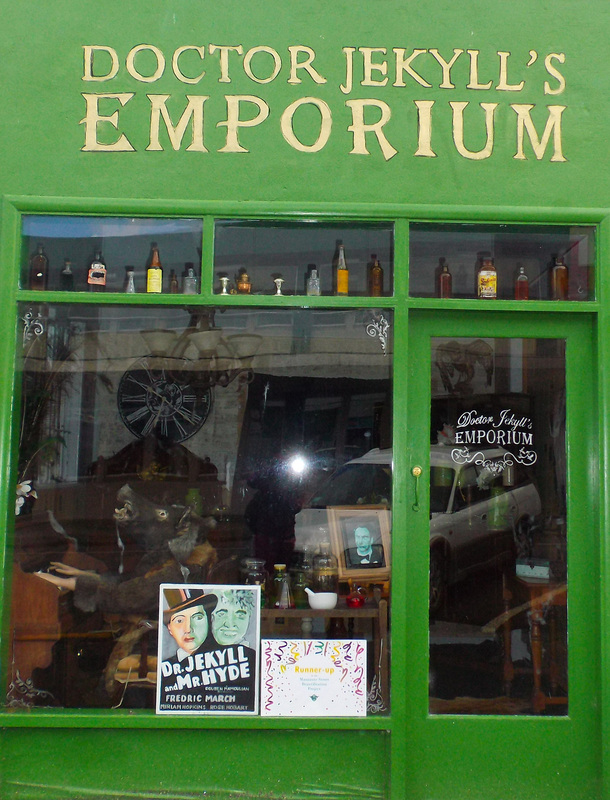 We also popped into an antiques shop – because I can’t walk past an antiques shop – that turned out to be owned by a fellow British immigrant. We got talking, and even though she wasn’t a northerner, my accent started mimicking hers, getting stronger and stronger until we left the shop. Any other immigrants notice their accents doing that? By the time we reached Tongariro National Park, it was almost sunset. 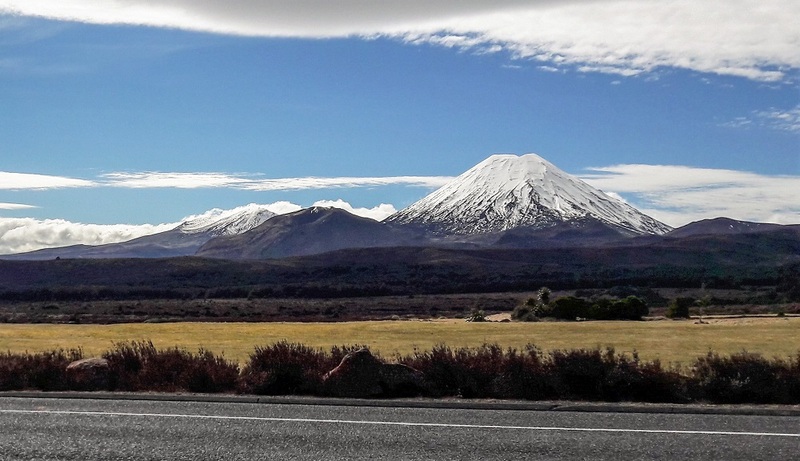 We checked into what turned out to be an excellent campground, Plateau Lodge, in National Park Village, before driving into Whakapapa Village and up the side of Mount Ruapehu, a snow-covered volcano that’s popular with skiers. We didn’t enter the ski resort: we just wanted to catch some sweet views before bed. Which we did. 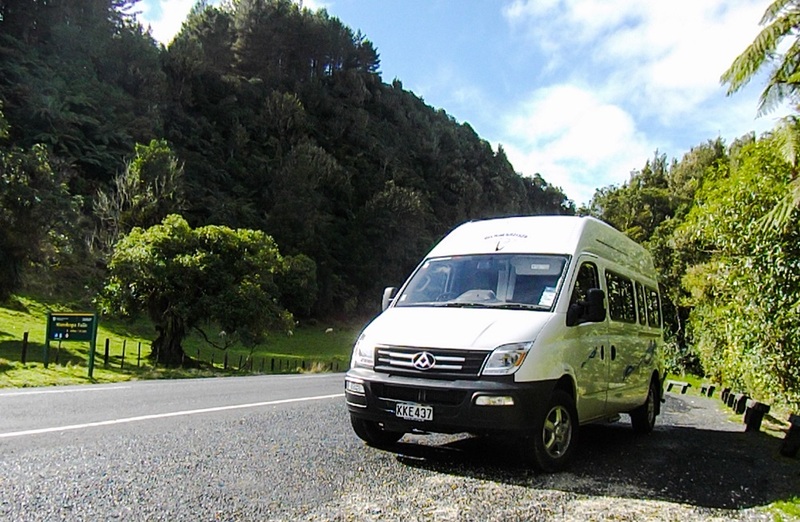 If you’re interested in hiring a campervan like this, by the way, visit www.wendekreisen.co.nz – that model’s also for sale, newly built, at Campervan Sales. Anyway, cheers for visiting and make sure you pop by next week. I’ll be posting an article about what we got up to in Tongariro National Park, more specifically, High Tea at the Chateau! I’m sitting in Hamilton’s Italian Renaissance Garden and my day has just been made. It’s sunny, but cool. Tim’s working next to me and my parents are geocaching in one of the other gardens. It’s the school holidays, which explains all the children. Spring is very much in evidence. I should be working too, but I can’t: my brain’s still swooning from the dizzying heights of fame. It’s finally happened, you see. I’m supposed to be writing more about mine and Tim’s recent campervan trip. We did so much in nine days. I’ve spent the last three Poms Away articles describing places in Waitomo alone! We were there two nights. 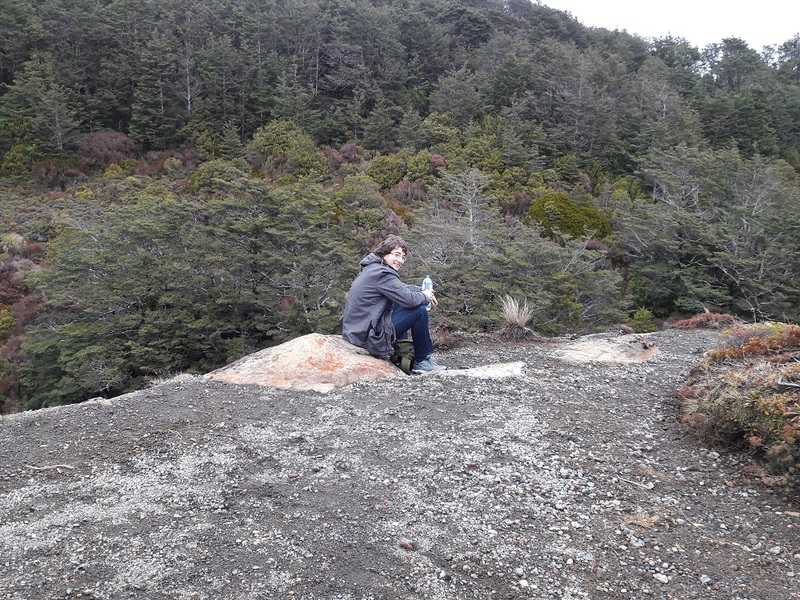 Before leaving for Tongariro National Park, we took advantage of a sunny winter morning to see Marokopa Falls and the Mangapohue Natural Bridge. 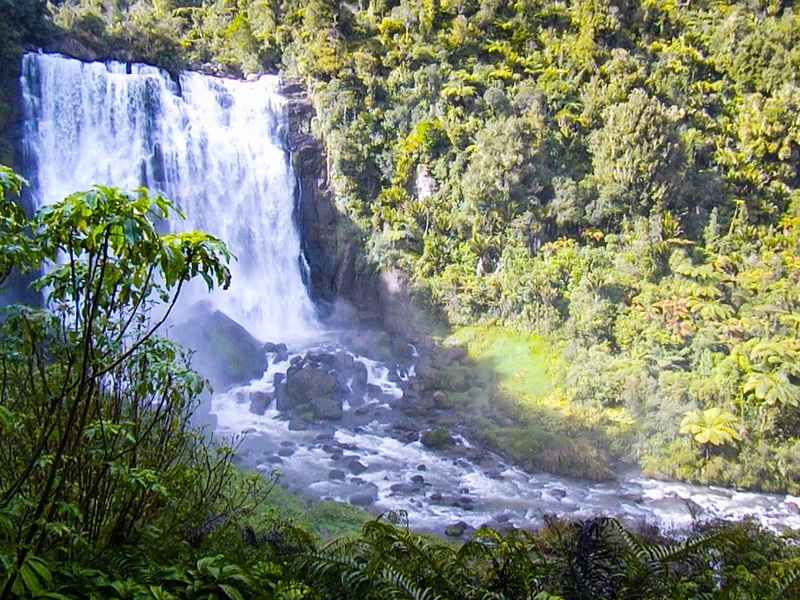 I hesitate to say that Marokopa Falls are beautiful, if only because I always seem to be visiting waterfalls and they’re all beautiful. 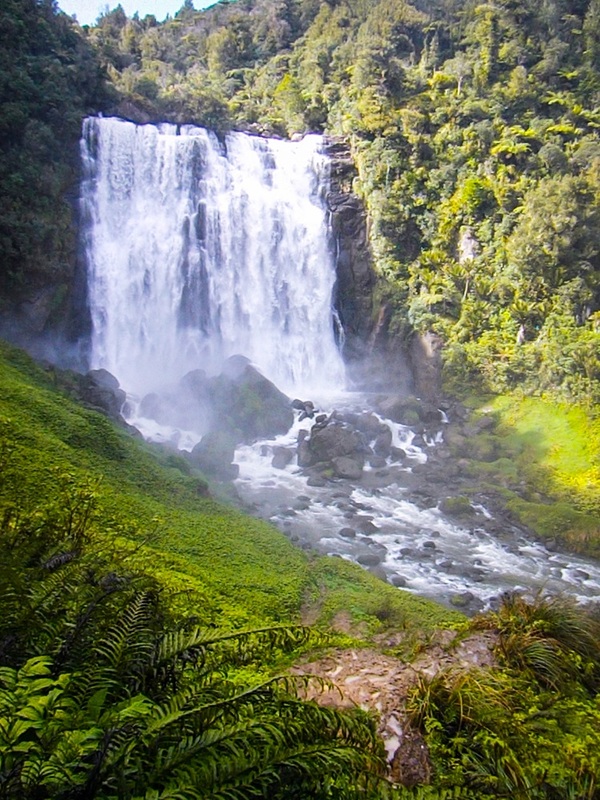 I mean I wrote an article about the best waterfalls to visit in the North Island for Not Australia and I can’t say Marokopa Falls are any better than any of those. They are fairly impressive, though. Marokopa Falls are quite wide and there’s an interesting rock formation down the side. I’m not saying Marokopa Falls aren’t worth visiting, but if you’ve only got time to do one or the other, definitely do the natural bridge. Mangapohue Natural Bridge… well, actually, I’ll leave that for my next article. Oh, just FYI: the picture at the top of this article wasn’t taken by me. It’s a public domain image from pixabay.com. The other photos are mine, though. 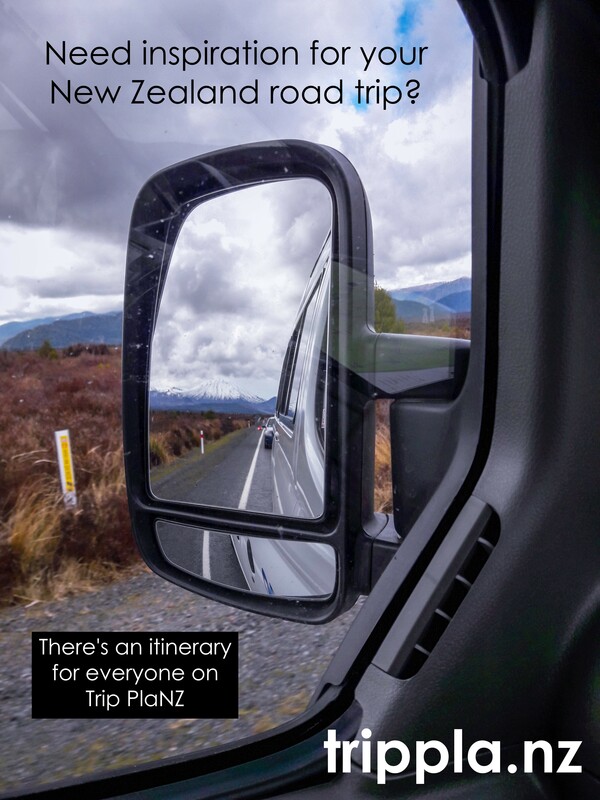 Also, I had a go at making an ad for one of my other sites, www.trippla.nz – what do you think? Does it look like a “real” ad?